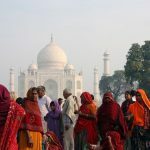 Venturing out into the world for the very first time as a solo female traveler can be a daunting thing. Although we have the desire to travel the world, it’s often difficult to make decisions when wanting to go solo. To some, the very thought of solo female travel can be terrifying. Where will I go? What do I want to see? 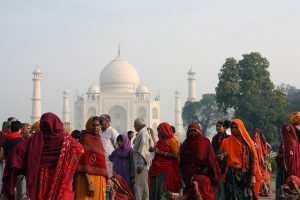 Will I travel on a solo female vacation with a tour group? Are there some countries that are more female friendly than others? 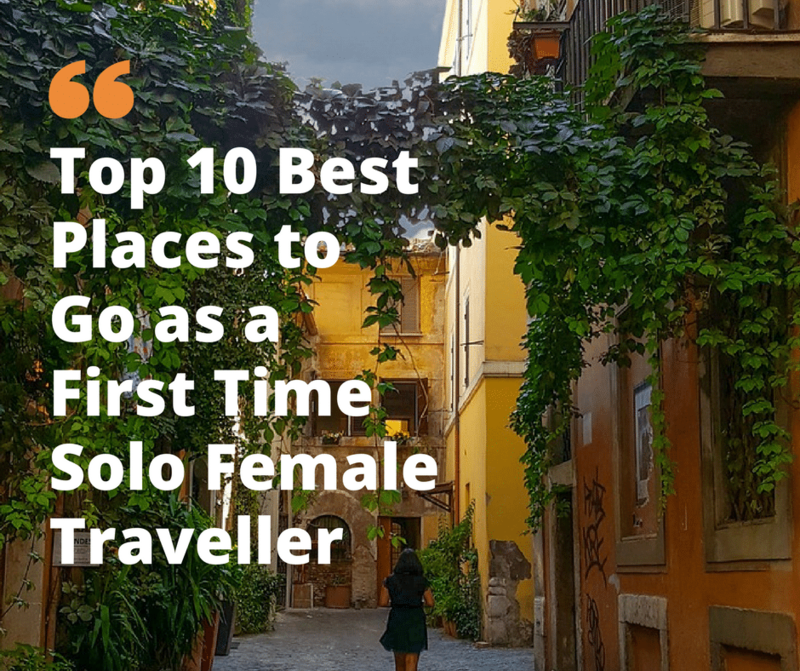 I recently asked some amazing solo female travel bloggers for their recommendations on the best places to travel alone, for first-time solo female travelers, here are their top 10 destinations. Some of these places you may never have considered before. 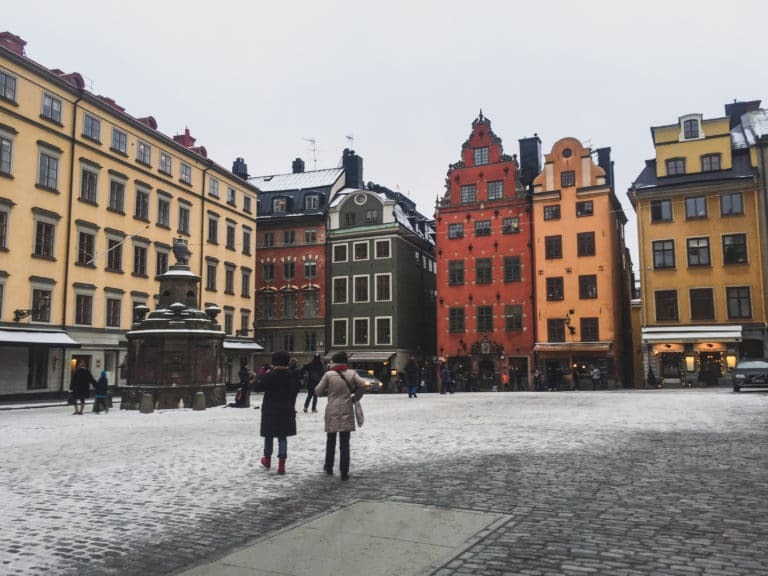 Sweden is one of the most perfect places imaginable for a first time solo female traveler. For one, it is incredibly safe. According to statistics, Sweden is the 22nd safest country in the world, safer than Italy, the UK, Belgium, and the USA, amongst others. Swedes have a strong sense of gender equality (the 5th best in the world, actually) and as a result, Sweden has far less issues with things like sexual harassment and catcalling. It’s also very easy to get around Sweden, as people are quite friendly and virtually everyone speaks perfect English. 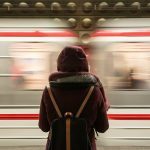 Public transportation is top notch and getting around in Stockholm or Sweden’s other cities couldn’t be simpler, and there are plenty of hostels in Stockholm that offer comfort and security for solo female travelers. Stockholm is a great place to start a Sweden trip. The city has countless amazing museums, including the awesome Vasa Museum which houses a 400 year old ship preserved in remarkable condition. There are also royal palaces, art museums, amazing coffee shops, excellent shopping — basically, there is something for everyone in Sweden’s capital. Adventure-loving solo female travelers can head up to Swedish Lapland, a beautiful destination any time of year. In the winter, travelers can spot Sweden’s Northern lights or go dogsledding or snowshoeing; in the summer, it’s amazing for hiking, with the Kungsleden trail right at one’s doorstep. In the past, Portugal used to be overlooked by many. But all that has slowly started changing over the past few years and Portugal has started receiving the attention it deserves. Lisbon with its excellent public transportation system along with great accessibility, affordability and a bustling hostel scene has made it an excellent destination for solo female travelers. If you are staying in the center of Lisbon, then you have everything within walking distance. Many including me have walked the streets of Lisbon in the night. Sintra, the palace town will make any girl feel like a princess and it is again accessible from Lisbon. 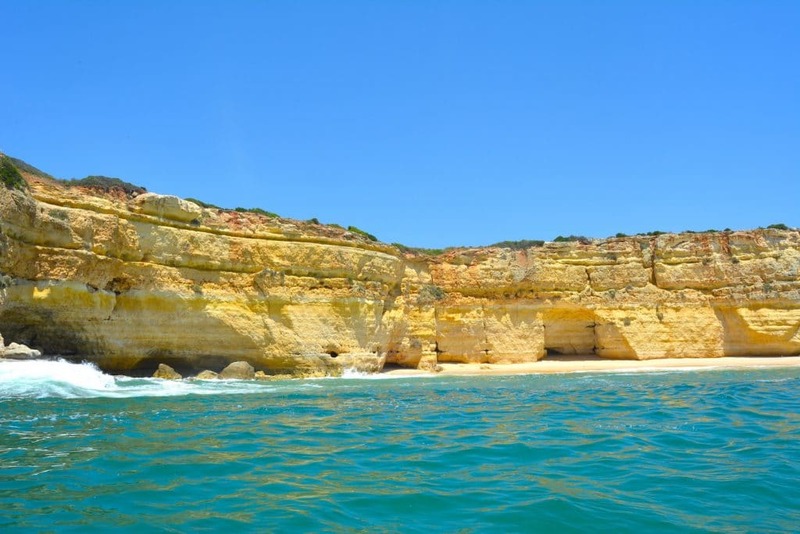 If you are looking for a beach destination, then look no further than Algarve, the gorgeous coastline of South Portugal. Hiring a car is not that expensive for the solo female traveler and go beach hopping among the 150+ beaches along the coastline. But what makes Algarve apart from its golden cliffs, hidden coves, and gorgeous beaches is how affordable it is for everyone. With so many beaches to choose from, you can opt for a quiet weekend healing yourself or go partying with your new friends. Indonesia should without a doubt be on your first solo travel shortlist. Well to be honest, it should be on number one on your list. The Indonesian islands are probably one of the best destinations for first-time solo travel ladies. Compared to other countries like India, for example it is clean, organised and quiet. It’s still Asia so it’s not like at home, but the culture shock won’t be too much to bear. From the stunning waterfalls on Java and Lombok, to the impressive Bromo volcano on Java, the beautiful rice fields near Ubud, down to the gorgeous beaches Indonesia has a lot of nature to explore. 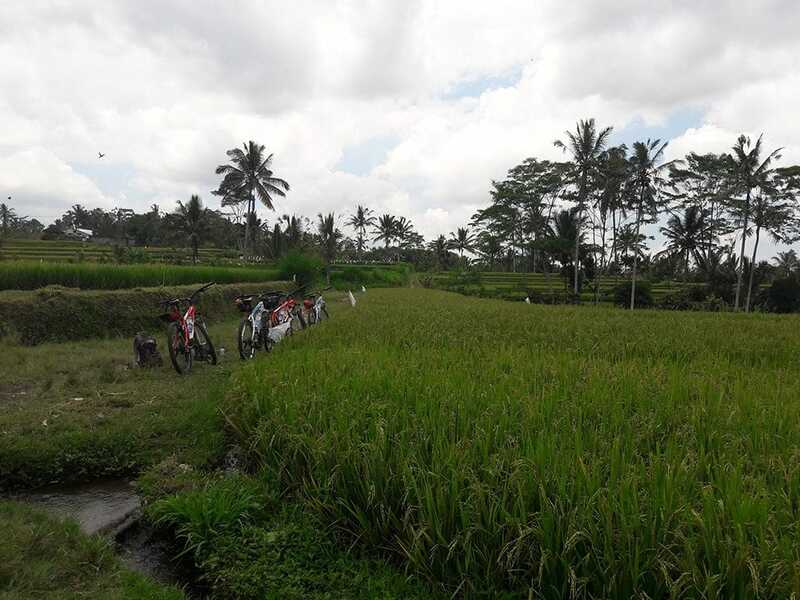 A guided tour to the Bromo volcano or a group mountain bike ride through the rice fields is not only a great experience, it’s also a great way to meet other travelers and to keep fit while on the road. In Yogyakarta on Java, Ubud and Canggu on Bali and, in Kuta on Lombok you’ll find stunning beaches. Some are the perfect location for surfing, others for scuba diving or deep water diving. But all of them are equipped with very cosy (beach) bars. Not Big clubs, but nice places to hang out, have a drink with our hostel buddies and sometimes even dance a bit. There are no big night clubs but there are amazing tropical vibes. If you are looking to go clubbing, Kuta (Bali) is the place to be. If you are not really the party type, make sure to avoid Kuta (Bali) by all means! In any case when traveling solo, always limit the number of drinks, keep your eyes on your drink and don’t accept any drinks from strangers in big night clubs and in cosy beach bars. For under €6 you’ll find lovely hostels all over the Indonesian islands. What makes them ideal for first-time travelers is that a lot of them are capsule hostels. So you’ll have some extra privacy in your little cocoon to get used to hostel life. Before booking a hostel, do read all the reviews you can find online. Even one single mention of bed bugs should be enough to scratch even your favorite hostel off the shortlist. Margherita doesn’t always travel solo, but she likes to get away from her husband every now and then. 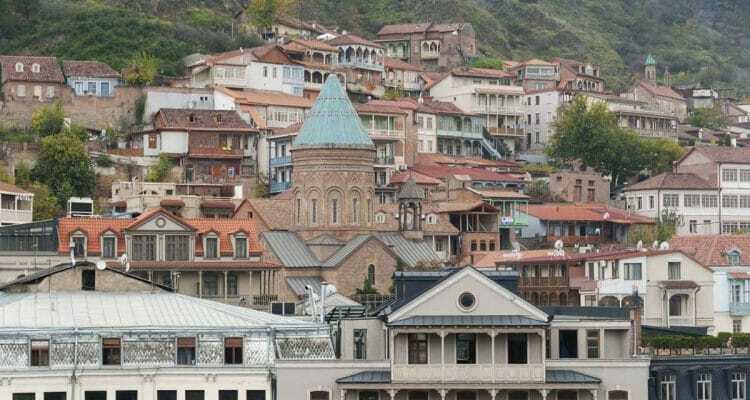 One of the places she visited by herself recently was Tbilisi, the capital of Georgia (the country) and she found it a great and inexpensive destination for a solo female traveler. 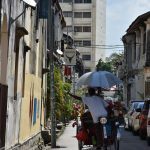 The city is also quite compact and easy to navigate. Margherita spent a few days wandering around the city and she never felt unsafe or threatened in any way – the only problem she had was that she never wanted to return home! In her opinion, the best thing about Tbilisi was the amount of cool and unusual things to do in town. For example, you can enjoy hot sulphur baths at any time of the day or night, have wine made on a rooftop and enjoy eclectic architecture, including not only Soviet but also Art Nouveau examples. Tbilisi also has a beautiful historic center, wonderful restaurants, and a great botanical garden – it’s a great destination to visit year round, but in summer it’s truly special! When people think of traveling to Japan we automatically think of the temples, the sake and really of a country rich in culture and history. 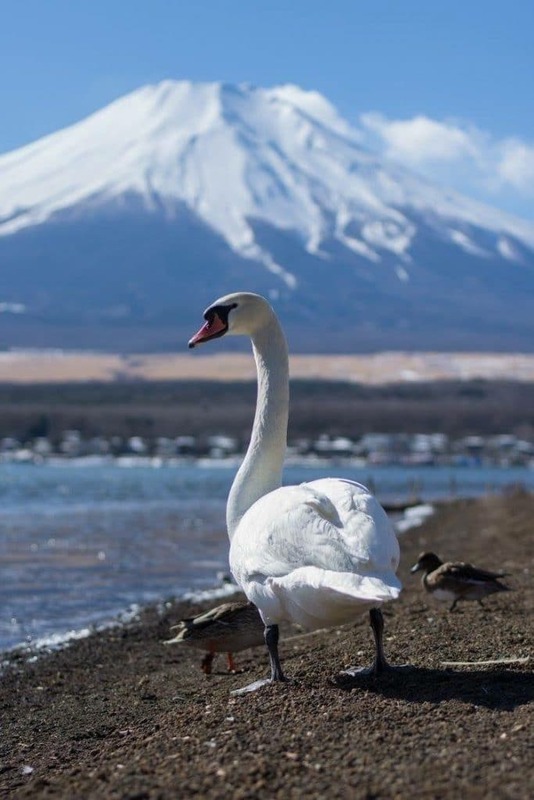 What many don’t think about is how easy and safe Japan is to travel as a solo female traveler. Japan is a country that has evolved to cater for the businessman traveler. 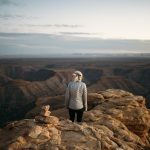 Which makes it a fantastic country for solo ladies! It’s not unusual to see solo travelers of any gender traveling around Japan, eating alone. Making it a great country to meet new friends. With an amazing infrastructure system, Japan is also incredibly easy to travel to the major cities and in between. A Pasmo card will soon be your best friend for public transport and for paying for small things like coffee. Let’s not forget that many of the major airports have trains that can take you just about anywhere. Scotland is a fantastic destination for first time solo female travellers. 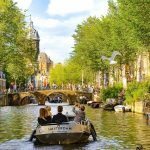 It’s a popular travel destination, which means there are plenty of other people travelling, and there’s a great travel industry to help you get the most out of your trip. Whether you plan to travel by public transport, rent a car, or join a small group tour, you’ll be able to see some of Scotland’s most stunning sites with a fair amount of ease. 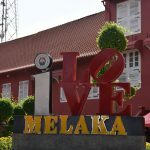 Take the train or bus to some of the smaller towns, hire a car if you want to do you’re own thing, or seriously consider a small group tour to see as much as possible in a short amount of time. An especially good option if you’re nervous about figuring everything out on your own, or worried about feeling lonely. 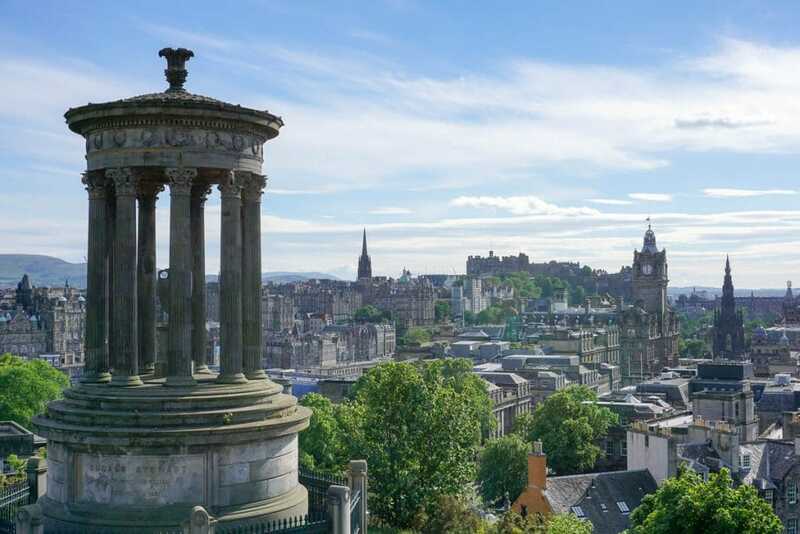 Even if you just stick to the cities, Edinburgh and Glasgow are absolutely full of history and culture, the locals are friendly, and it’s easy to take day trips to nearby towns, beaches (yes, in Scotland!) castles, and palaces, either by public transport or on an organised day tour. 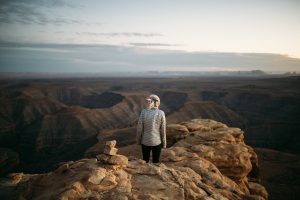 If you are wondering about the best place to visit as a solo female traveler you should consider visiting the United Arab Emirates (UAE) and in particular the beautiful places Dubai and Abu Dhabi. Both places are absolutely safe for females – crime is at a minimum, and apart from some areas, like Deira where catcalling is common, you do not have to fear stars from men. 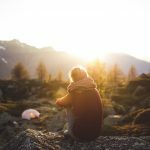 People do not constantly ask you why you travel solo which makes solo traveling in these areas much easier. Also, transportation, whether you take the metro or taxi, is relatively cheap (female compartments in the metro) and so you can also go out at night without having to worry how to get back to the hotel safely. It does not matter where you will spend your time in Dubai or Abu Dhabi: solo female travelers are not a rarity and welcomed anywhere. Head to the beach, though the UAE is an Islamic country these two cities are quite liberal and bikinis etc. are fine to wear at the beaches, or just stroll in one of the beautiful areas. There are enough activities that you can do by yourself. Some of the best places to visit in Abu Dhabi are: the Grand Mosque (where you have a strict dress code for male and female visitors), and Corniche. 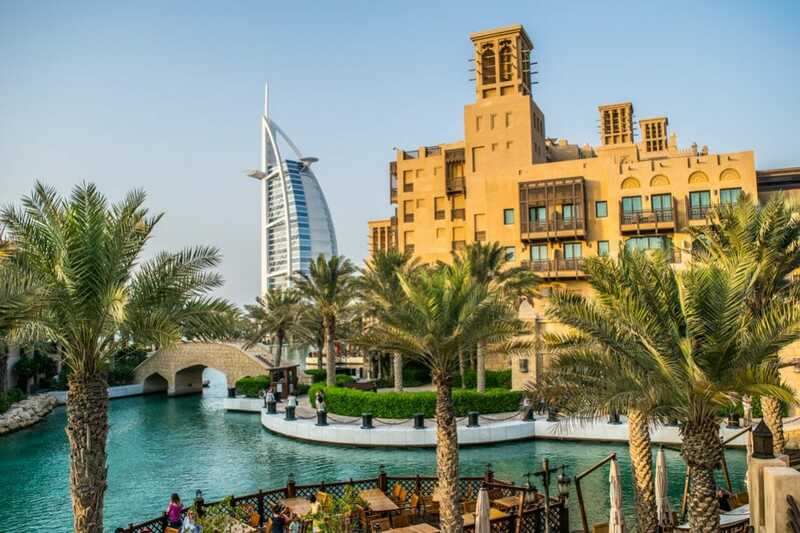 If you head to Dubai add following places to your itinerary: Dubai Downtown, Dubai Marina, or Madinat Jumeirah. 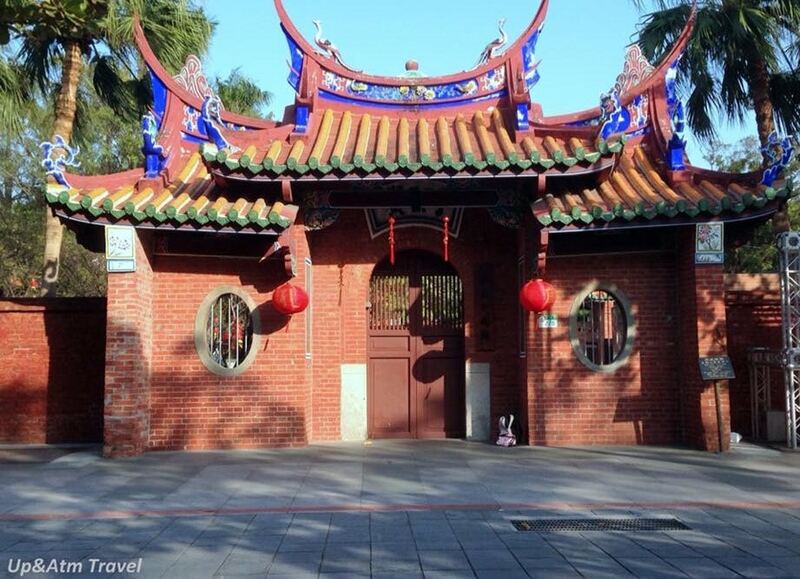 Taiwan is a small island nation that makes travellers feel welcome, especially first-time female solo travelers. Unlike some locals in other Southeast Asian countries, the Taiwanese locals do not prey on tourists. 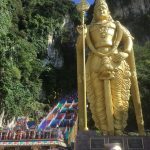 You will never have to worry about being charged extortionate prices or being driven around in circuitous taxi routes that rack up your fares. If anything, the Taiwanese locals are extra considerate and generous. During a day hike, a Taiwanese local I met on the trail shared his snacks with me and bought my lunch. (I tried to refuse, but he would not let me pay!) And a taxi driver gave my friend some snacks when he heard her tummy rumble. Additionally, the capital of Taipei is fairly easy to navigate with English versions of street signs and metro station names. The area offers beautiful scenery for hikers, but those who prefer the views without working up a sweat can take a serene gondola ride to the tea plantations. Beautiful traditional temples can also be found throughout the country. Foodies can gorge themselves on a variety of snacks at night markets and shoppers will feel at home in the trendy Ximending district. Taiwan’s attractions will suit all types of female solo travelers. What makes Canada an ideal destination for a solo female traveler? One word – Everything . To start with, Canada is one of the safest destinations in the world. 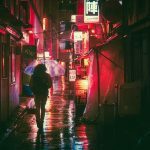 In fact, Numbeo, a global database that compares crime rates around the world, has rated Canada as highly safe to walk solo during the day and moderately safe during the night. Canada is known for its friendly locals. A traveler may be solo but he/she will never feel alone due to the warm welcome they’ll receive as soon as they step into this country. 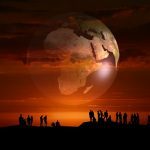 This goes for a traveler of any ethnicity as Canada is diverse and accepting of people from all cultures. 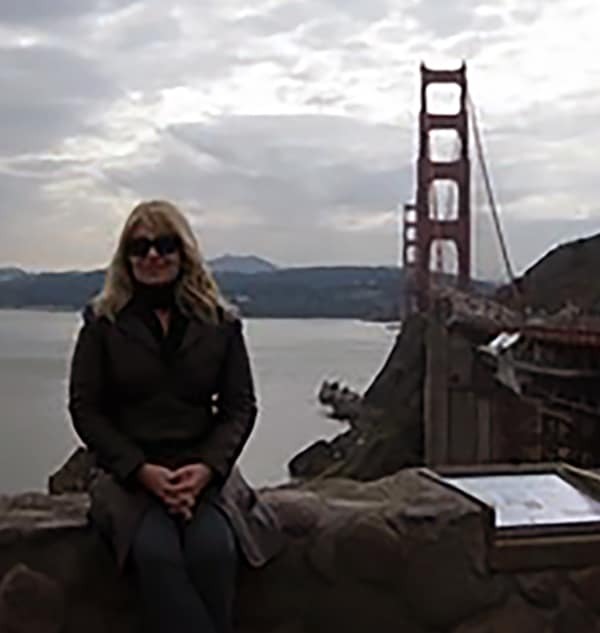 If that isn’t enough, Canada offers any solo female traveler a wide array of experiences to choose from. Cities like Toronto, Montreal, Vancouver and Quebec City are great for a city escape. 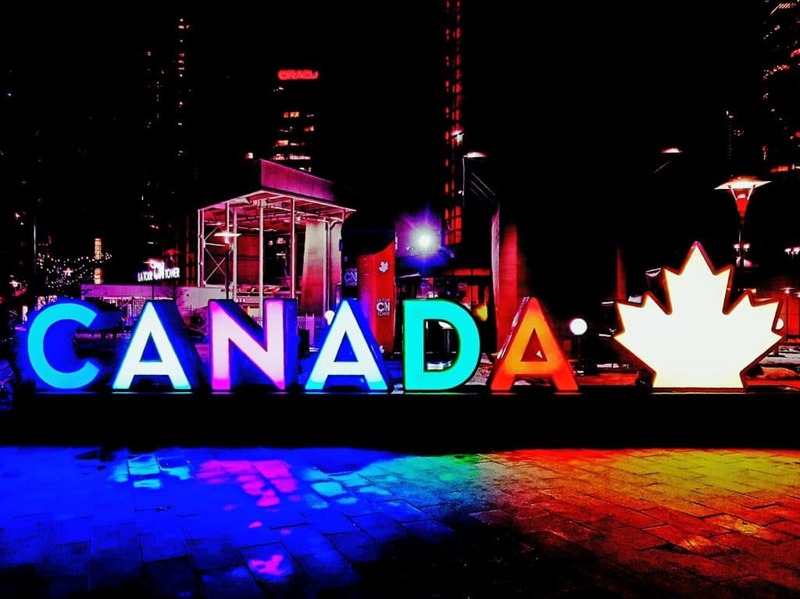 Each city is distinct in its own way; Toronto and Vancouver have culturally unique neighborhoods whereas Montreal and Quebec City stay true to their French roots. However, what makes Canada truly great is the natural beauty of its lakes, mountains, and forests. Especially, the glacier-fed lakes in the Rockies are a sight to behold. In Ontario, Algonquin National Parks provide a great getaway from the city. 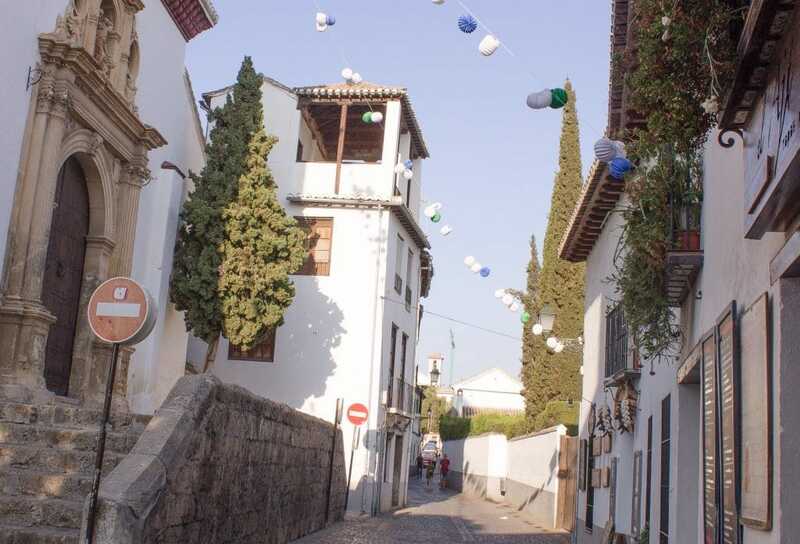 In the east, tiny colorful fishing villages that hug the coast are equally beautiful. 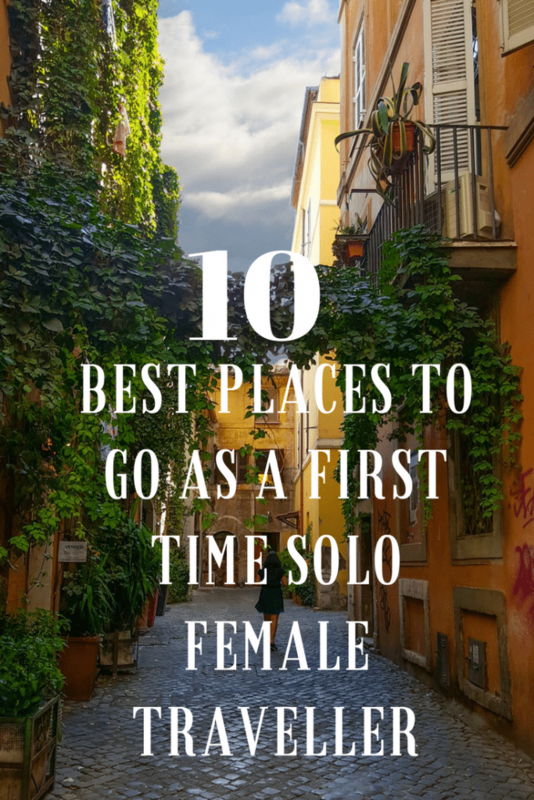 Many thanks to the lovely gals who contributed to this list of Top 10 Places to go for first time Solo Female Travel. Don’t forget to follow their adventures. With all this inspiration where will you go? list now – both safe and affordable! Great list! I would also include Copenhagen (or Denmark in general) and Iceland. people did it at my age. I would recommend it to anyone, it’s a necessary experience! Great list! Regardless of the destination, I have found yoga retreats a nice way to ease into solo travel. 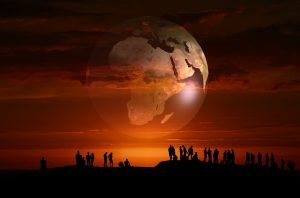 It is very easy to connect to other people with the same interests. 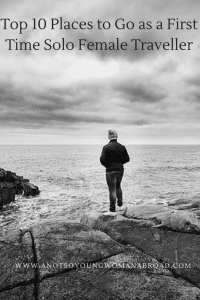 And almost everyone goes alone to retreats. Great post! There are so many fantastic destinations to choose from. I’ve been to most on your list as a solo female traveller and have felt safe everywhere. Travelling alone is so much fun and builds so much confidence! I would also add South Korea to this list. It is an incredibly safe country, had an easy-to-use public transportation system, isn’t as expensive as many people think, and has a never-ending list of things to do.